Improved Industrial Packaging without a Price Increase! 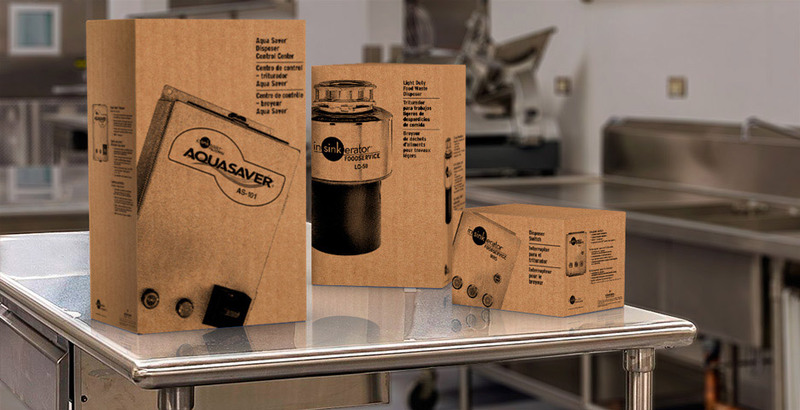 Imagine helped Insinkerator to develop Industrial packaging that uses one-color print on corrugate to be as cost effective as possible. The original packaging was a bare box with only a label. The new graphic look portrays quality in a better way than ever before, and at the same price as a plain little label. Not to mention, in the warehouse setting employees can quickly identify what is in every box without stopping to read the fine print.